From his beginnings with Cold Chisel he has mellowed and his performance has matured, to make him one of the great solo artists of the present day. 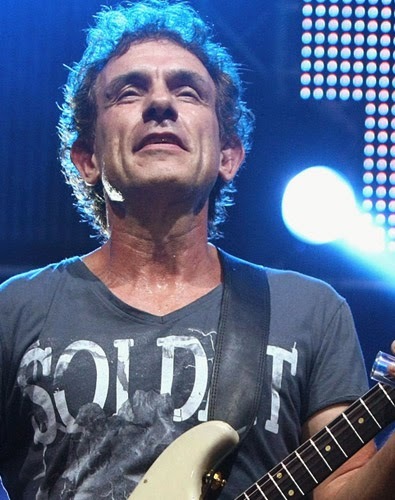 Ian Moss is originally from Alice Springs. He is the founding mainstay guitarist and occasional singer of Cold Chisel. In that group's initial eleven year phase from 1973 to 1984, Moss was recorded on all five studio albums, three of which reached number one on the national Kent Music Report Albums Chart. In August 1989 he released his debut solo album, Matchbook, which peaked at number one on the ARIA Albums Chart. It was preceded by his debut single, "Tucker's Daughter", which reached number two on the related ARIA Singles Chart in March. The track was co-written by Moss with Don Walker, also from Cold Chisel. Moss had another top ten hit with "Telephone Booth" in June 1989. At the ARIA Music Awards of 1990 Moss won five categories: Album of the Year, Best Male Artist, Breakthrough Artist - Album, Single of the Year and Breakthrough Artist - Single. Since then his solo music career has been more low-key, his other top 50 albums are Worlds Away (November 1991), Let's all Get Together (July 2007) and Soul on West 53rd (November 2009). In 1993 Cold Chisel, with Moss as a member, were inducted into the ARIA Hall of Fame. Moss has participated with periodic Cold Chisel reunion tours or new studio albums in 1998, 2003 and from 2009 to 2012 (as from August 2013).